Frederick Clarkson Walker was born in Haslingden, Lancashire on 7 December 1890. He was the son of James and Sarah Ann Walker, of 132 Bradford Street, later 749 Bury Road, Bolton. His father, James Walker, was a railway chief telegraphist who later worked at Victoria Station, Manchester. Frederick’s primary education was at Ridgway’s Endowed School, Bolton. He attended Bolton Church Institute in Forms IV to VIA and Special from 17 September 1902 to 30 July 1909. He obtained 1st Class Honours at all levels of the Oxford Local exams up to 1907 and 3rd Class in 1909. Frederick won a Demyship at Magdalen College, Oxford for 4 years to begin in October 1909, with a value of £80 a year and also the Churches Scholarship of £50 a year for 3 years. He obtained his BA at Oxford in 1913. His degree was awarded 'aegrotat' - that is he was excused the final examinations due to illness - although it is not known what was wrong with him at the time. Frederick was commissioned as Lieutenant in the 1st/ 5th Battalion, (Territorial) King’s (Liverpool) Regiment and arrived in France on 4 August 1916. His Battalion belonged to the 55th Division which took part in several phases of the Battle of the Somme in 1916, notably the attacks on Guillemont. It then moved north to the Ypres salient in Flanders in October 1916 and fought in several engagements there, sustaining heavy losses in August 1917. 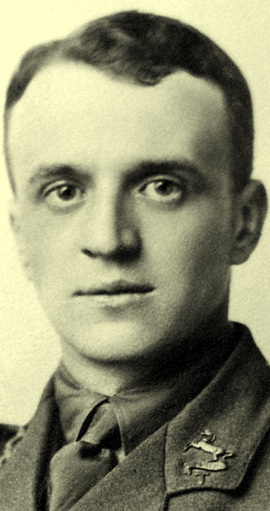 Frederick became a full Lieutenant in July 1917. He was killed by a shell on September 20 1917, during the Battle of Menin Road Ridge. 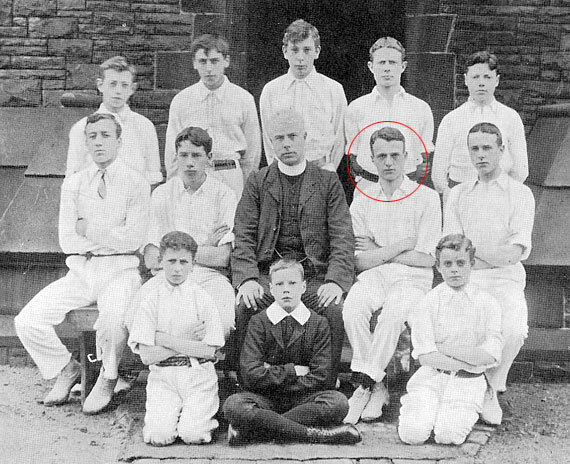 The Headmaster (Rev J E Kent)'s report of the school year 1908-9 includes: "Perhaps the most inspiring success of the year has been that of F. C. Walker, who had come from the Ridgway School and had had a most successful career. During the school year he had obtained a Demyship at Magdalen College of the value of £80 a year for four years (Loud Applause). 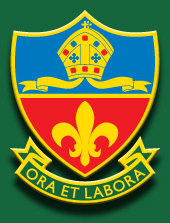 This was probably the greatest success ever achieved in the history of the school, and it was, of course, what staff had been aiming at for some years in the school and it justified the efforts that had been made by the Bolton public in establishing the leaving exhibition from this school to the University. This success had only been rendered possible by the foundation of these scholarships." Second-Lieut. [sic] FREDERICK CHARLES [sic] WALKER, of 749 Bury-rd., Breightmet, only son of Mr. J.C. Walker, was killed in action on September 20th. He was walking up a trench with the battalion chaplain and another officer, when a shell burst, killing Walker and the chaplain, but leaving the other officer uninjured. Lieut. Walker was educated at the Church Institute, where he won a leaving scholarship, which carried him to Magdalen College, Oxford. Having obtained his B.A. Degree he became assistant Mathematics Master at Coatham Grammar School, Redcar, and from there he took his commission in the King’s (Liverpool) Regiment. He was 26 years of age. Frederick's brother in law, George Tong, was killed in action while serving as a Lieutenant with the Royal Engineers in France on 15 August 1918, a few days before the second anniversary of his marriage to Frederick's sister, Alice Jane Walker. * Image used by kind permission of the President and Fellows of Magdalen College, Oxford.